Working for a US company on a temporary basis with payment in a manner identical to an H-1B visa. Working for a Canadian or Mexican company located in the U. S. on projects under contracts with US companies. To obtain TN status, the intended activity must be in the list of occupations specified in the NAFTA agreement, and the foreign citizen must possess the necessary knowledge and skills to work in this specialty. Moreover, a foreign citizen must actually engage in this activity in the U.S. Foreign citizens are usually required with a bachelor’s degree or higher, with the exception of alternative list occupations. The combination of experience and education is not equivalent to an advanced degree and is not suitable for the category TN; Foreign citizens, in this case, should consider the possibility of obtaining a visa with the status of H-1. A foreign citizen may be allowed to enter the U.S. according to the status of a TN visa for the time required by the employer, up to 1 year for Mexican nationals and 3 years for Canadian nationals. TN professionals may further receive an increase in the length of stay with an extension of 1 year or 3 years without restriction on the total period of stay. 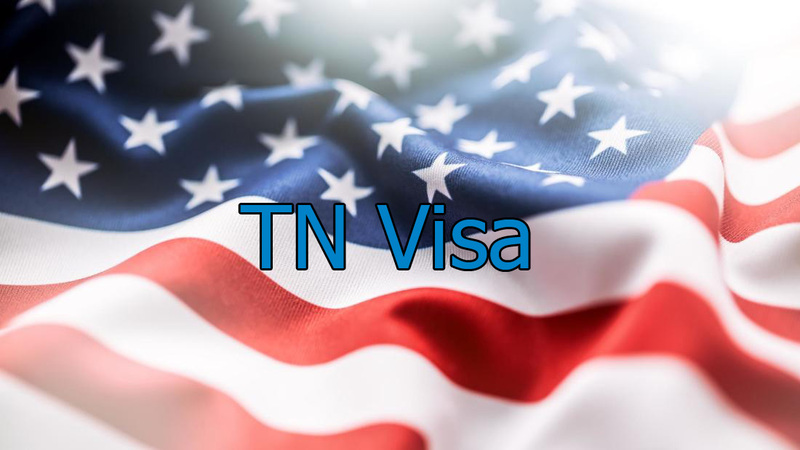 Restrictions on stay on an H-1B visa (6 years) and for a non-immigrant category L (5 or 7 years) do not apply to foreign citizens of the TN category. In addition, specialists from Canada and Mexico who have already worked for 6 years on an H-1 visa or in the non-immigrant category L have the right to immediately receive a TN category, without going abroad for 1 year, as would be required by the USCIS for professionals with an H-1 visa and category L. The only limitation on the length of stay for a non-immigrant category TN is the purpose of the stay, which should continue to be temporary. Canadian professionals can enter the U.S. under the NAFTA Agreement without completing a petition for the USCIS, as required for category H-1; they can enter the United States, confirming their qualification for TN status to a USCIS inspector at the point of entry. At a minimum, candidates must confirm that they have worked in one of the designated occupations, and that they have the necessary education. Canadian specialists in the US are assigned non-immigrant status TN-1. Professionals from Mexico need to follow the requirements of the procedure, similar to the H-1B classification procedures. Their employer must complete documents for TN petitions and file with USCIS or if abroad, file with U.S. Consulate to obtain TN Visa. Below is a list of professions under the NAFTA agreement: the minimum requirements are a bachelor’s degree and / or corresponding professional licenses, unless otherwise specified. contact Houston TN Visa Lawyer Gasana one of the best immigration attorneys.